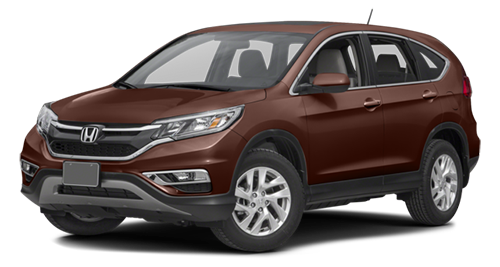 The 2016 Honda CR-V is available now at Brilliance Honda of Crystal Lake, and the EX trim level could be an attractive option for many families in the Elgin and Crystal Lake, IL area. Read on to learn all about the EX trim level! The 2016 Honda CR-V EX is powered by an efficient 2.4L four-cylinder engine that generates an admirable 185 hp and 181 lb-ft of torque. It’s offered with a continuously variable transmission and either front-wheel drive or all-wheel drive. The front-wheel drive version is rated at 26 mpg city/33 mpg highway/29 mpg combined* based on EPA estimates. The 2016 Honda CR-V is remarkable when it comes to safety, taking home the best possible five-star overall crash test safety rating from the National Highway Traffic Safety Administration**. The EX come with features like a multi-angle rearview camera with dynamic guidelines, traction and stability control, active front head restraints, multiple airbags, and anti-lock brakes. Find the right 2016 Honda CR-V for your needs and budget right here at Brilliance Honda of Crystal Lake, your local Elgin and Crystal Lake area Honda dealer. We’re located at 680 W. Terra Cotta Ave. in Crystal Lake, IL, just a short drive from Elgin, and we have all CR-V trims in stock now!